This topical symposium will focus on the impact of digitalisation, artificial intelligence (AI) and gig jobs on the future of employment, employability, industrial relations, work and labour regulation across different economic, industrial and occupational settings. We will bring together leading researchers and practitioners in employment relations, HR and labour regulation from Australia, China, the United Kingdom and other countries. They will discuss the latest developments in the application of digital technology, AI and algorithmic decision-making by employers and how these impact skills, work, employment relations and labour regulation in the Asia-Pacific region, Europe and beyond, including national regulations and practices, international influences, as well as global trends, challenges and lessons. South Asia Research Network (SARN) of the Centre for Global Business (CGB) is co-hosting three seminars by Professor Naila Kabeer, one of the leading social economists of our time. She is Professor of Gender and Development at the Department of Gender Studies and Department of International Development at London School of Economics and Political Sciences (LSE). 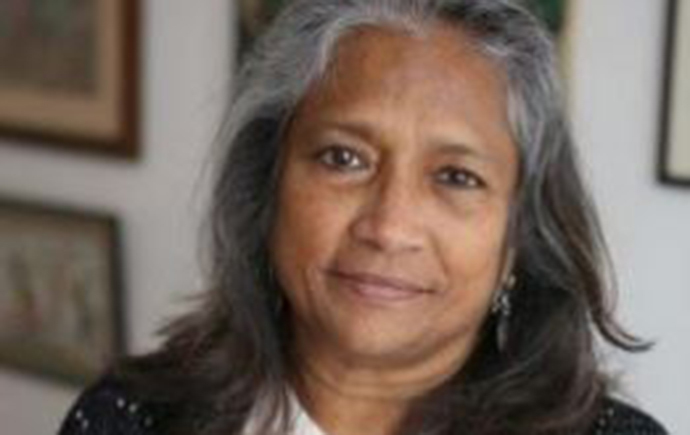 Naila Kabeer is Professor of Gender and Development at the Department of Gender Studies and Department of International Development at London School of Economics and Political Sciences. Her research interests include gender, poverty, social exclusion, labour markets and livelihoods, social protection and citizenship and much of her research is focused on South and South East Asia. Naila is currently involved in ERSC-DIFD Funded Research Projects on Gender and Labour Market dynamics in Bangladesh and India. You can find out more about Naila here. If you would like to attend the dinner on 12th April or meet Naila Kabeer during her visit (9-12 April), please email to Sakiba Tasneem: sakiba.tasneem@monash.edu. The future of work was the topic of a Monash Business School seminar hosted by International Consortium for Research in Employment & Work (iCREW), Centre for Global Business (CGB). Presented by Greg Vines, Deputy Director General of the International Labour Organisation (ILO), Geneva, Switzerland, Work for a Brighter Future: A View from the ILO, was attended by prominent people in this field. These included: Ross Fotheringham, Monash alum. and former Minister (Special Labour Advisor) to the ILO; the Hon. Geoff Giudice AO, former President, of predecessors to the Fair Work Commission (FWC); the Hon. Joe Isaac AO, Emeritus Professor, Monash University and former Deputy President, of a predecessor to the FWC; other alumni; practitioners; academics and PhD students. The ILO marks its centenary this year with the launch of the report of its Global Commission on the “Future of Work”. The Commission, co-chaired by South African President Ramaphosa and Sweden’s Prime Minister Lofven, calls for a commitment to taking a human-centred approach for growth and development, one that places people and the work they do at the centre of economic and social policy making. 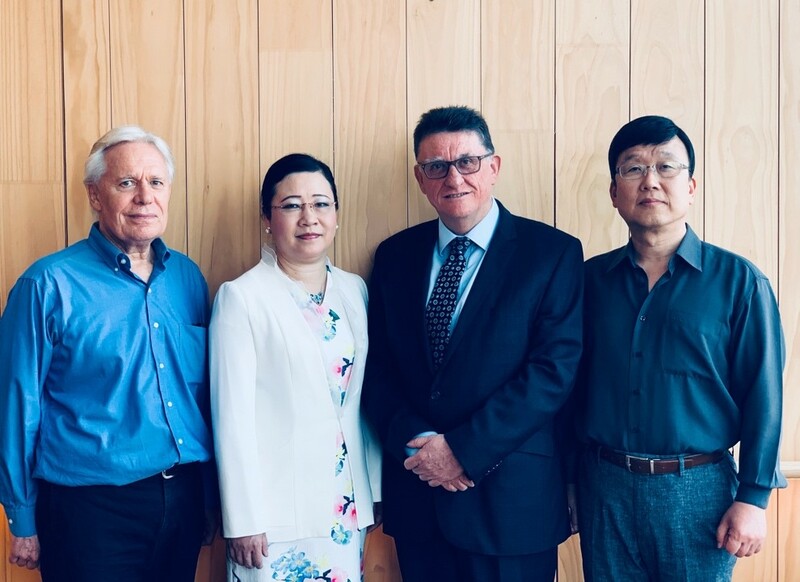 Monash Business School has contributed to the discussion through the Centre for Global Business and the work of several of its professors including Greg Bamber, Chongwoo Choe, Fang Lee Cooke and Richard Mitchell. “The Global Commission on the Future of Work promotes social justice and must guide us when shaping the future of work. We need to look at it from the perspective of people not from the perspective of technology,” Mr Vines says. The Global Commission focused on the conceptual framework and the issues they consider important – the effects of demographic market, the effects of technological change and the pressing need to put an end to gender inequality and allow women to fully participate in the labour market. The ILO proposes a series of actions under the pillars of investing in people and their capabilities, investing in the institutors of work and investing in jobs of the future. “We need to shape the future for decent work and social justice, in particular. Meaningful work is at the heart of the human life experience of each of us,” Mr Vines said. The report lists three pillars of investment for human-centred development agenda for the future of work: increasing investment in people’s skill and capabilities so they can take advantages of the opportunities ahead. Secondly, increasing investments in the institutions of work and finally to increase investment in descent and sustainable work. Discussed what can be achieved in the short/medium-term and the long-term to improve food supply chains and propose solutions that could be considered for adoption. This workshop was organised jointly by the Global Value Chains Research Network. The University of Lincoln (UK) and IFFCO (Punjab) sponsored it. Other supporting organisatons included Panjab University, Chandigarh; Punjab Agricultural University, Ludhiana; Austrade (Australian High Commission, Delhi) and Sangha Innovation Centre. Having voice at work is a primary means by which individuals influence matters that affect them. Prior work has focused generally on institutional-level factors and collective arrangements that give rise to voice. Here, our focus is the employee. In partnership with the Chartered Institute of Personnel and Development UK, and drawing on a major cross-sectoral survey of nearly 3000 employees based in the UK, we distinguish between two forms of voice -- human voice and promotive voice -- starting from the premise that voice is important, not just for organizational effectiveness, but also by way of offering dignity and respect to workers. We are now analysing the data and, in this seminar, will share preliminary findings. Helen Shipton is Professor of Human Resource Management and Co-Director of the Centre of People, Work and Organizational Practice, Nottingham Business School, having held academic posts at Aston Business School, Birmingham, United Kingdom. Helen is interested in how employees perceive HRM, and the effect of their interpretations on outcomes such as innovation, well-being and commitment. Helen has published in top journals including Human Resource Management, Human Resource Management Journal, British Journal of Management and Journal of Organizational Behaviour. Helen is Vice-Chair (Capacity Building) of the British Academy of Management. Healthcare systems are under increasing pressures to provide high-quality care in the context of continuing improvements in medical diagnostics, ageing populations and constrained resources. As health service managers struggle to keep up in such contexts, many turn to management consultants for advice. In the National Health Service (NHS) in the UK, one of the largest employers in the world, an average of £1.2million are spent annually on management consulting services in each NHS Trust, according to Professor Ian Kirkpatrick from Warwick Business School. 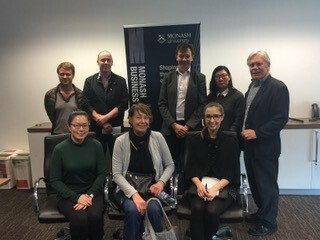 During a recent visit to Monash University, Professor Kirkpatrick, Monash Warwick Professor of Healthcare Improvement & Implementation Science, presented an interesting seminar, ‘Management Consultants & Public Sector Reform: The Case of the NHS’. It was hosted by the Australian Consortium for Research in Employment & Work (ACREW), Centre for Global Business, Monash Business School. Noting the ‘revolving door’ of management consultants in the NHS who seem to create their own demand - for example, by providing advice on outsourcing services, and those very outsourcing services - Kirkpatrick et al. ask whether NHS managers could be ‘addicted to consultants’, and thus whether there might be a case of consultant overuse in the NHS. Despite claims by management consultants that they yield a generous return on investment for money spent on their services, Kirkpatrick et al. found no rigorous evaluations of the value produced by management consulting services anywhere, in any sector. They set out to address this. Using the available data on management consulting expenditure in the NHS, and analysing the relationship between this expenditure and hospital efficiency-related outcomes, Kirkpatrick et al. found that, in addition to the £1.2 million spent each year on management consulting services, each Trust loses more than a further £10,000 of value in terms of reduced efficiency. Professor Kirkpatrick plans to visit Monash regularly to promote research collaboration through the Monash Warwick Alliance. Monash Business School’s Centre for Global Business and Shailesh J. Mehta School of Management at Indian Institute of Technology Bombay co-organised the inaugural research workshop during January 28-29, 2019 at IIT-Bombay campus in Mumbai, India. The key theme of the workshop was the importance of collaboration in research with a keynote delivered by Prof. Amartya Lahiri, Director of the Centre for Advanced Financial Research and Learning, Reserve Bank of India. Other sessions focused on multidisciplinary dialogue across various disciplines in business school, computer science, and engineering. The workshop was attended by delegates from all seven departments at Monash Business School. The Conference on ‘Economic Development in South Asia’, co-organised by the Institute of Policy Studies of Sri Lanka (IPS) and the Centre for Development Economics and Sustainability (CDES) and South Asia Research Network (SARN) of the Monash University, Australia, examined the development impact of innovative policy initiatives for spurring development in the region using latest research methods such as randomised field experiments, spatial distribution of consumption, and multidimensional poverty correlates and other micro econometric analysis. The conference focused in the areas of poverty and inequality, entrepreneurship, agriculture, environment sustainability, labour and migration, education, macroeconomic growth, and financial markets. 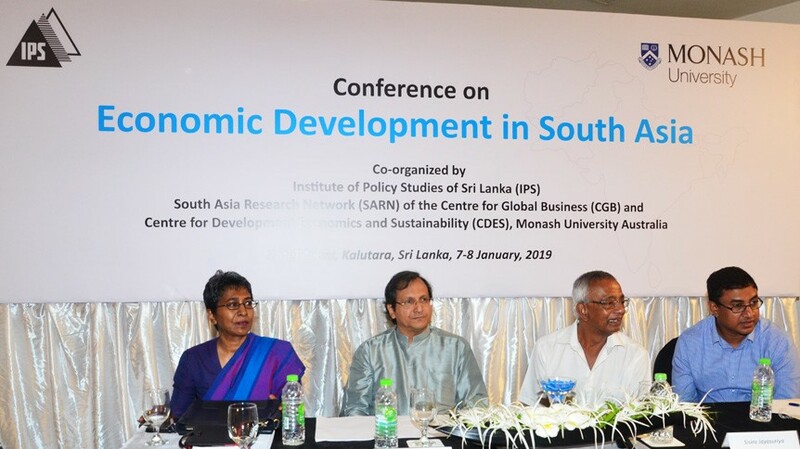 The conference, held on 07 – 08 January 2019 in Kalutara, Sri Lanka, saw the participation of academics from countries in the South Asian region such as India, Bangladesh, Nepal, and Pakistan as well IPS researchers. The aim of the conference was to share new knowledge from the region and seek collaborations for research. Some innovative policy initiatives examined at the conference included the ‘integrated management of climate information for improving adaptation of agriculture practices’, ‘use of e-learning for improving mathematics achievements in Sri Lanka’, ‘adoption and diffusion of agricultural technology for improving productivity’, and ‘the effect of digital financing for improving small business access to finance’. The Secretary to the Ministry of Foreign Affairs of Sri Lanka, Ravinatha Aryasinha, was the chief guest of the conference. Dr Sarath Rajapatirana, economic advisor to the President of Sri Lanka was also invited to the conference, who subsequently wrote to us, “It was two days so well spent for me. I enjoyed participating in it, listening to the excellent presentations and hearing about the research and policy studies undertaken by Monash University academics and the IPS staff. The topics presented were of immense value to me in my current position but certainly as someone who has been interested in many of these topics from a knowledge seeker's perspective”. What's happening to HRM In the 'post-globalisation' world? Professor Chris Brewster, University of Reading, UK. 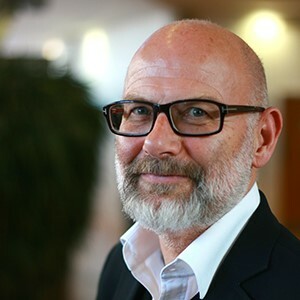 Chris Brewster is Professor of International Human Resource Management at Henley Business School, University of Reading in the UK; and at Nijmegen University in the Netherlands. He had substantial experience as a practitioner and gained his doctorate from the LSE before becoming an academic. He researches in the field of international and comparative HRM; and has published thirty books and more than two hundred articles. He has taught in many countries around the world. In 2006 Chris was awarded an Honorary Doctorate by the University of Vaasa, Finland.